Devious and sinister Valley girls Chantele and Brittany aren't just trying on clothes. They're hatching a totally cool plan to take over the city. Will Melvin and Candace be outsmarted by two not-so-smart girls from the Valley? 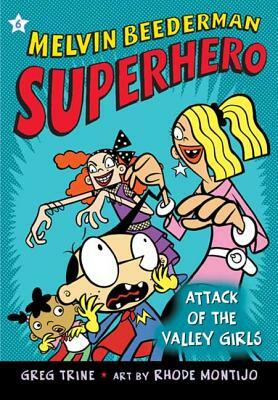 Rhode Montijo is the illustrator of the Melvin Beederman Superhero series. He lives in Oakland, California. He believes that creating children’s books is super! His weakness: red licorice.